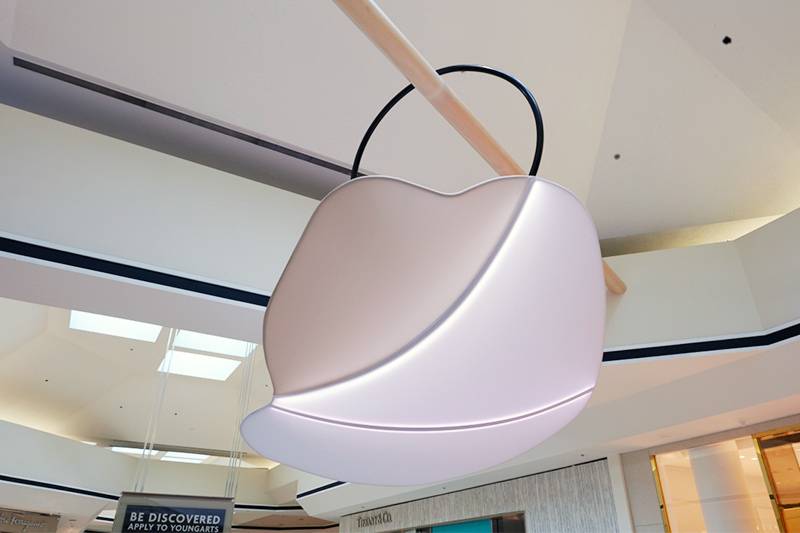 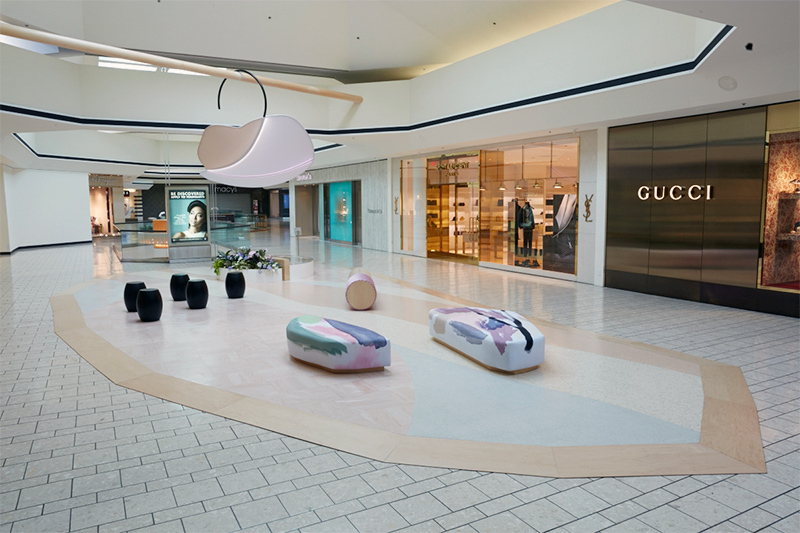 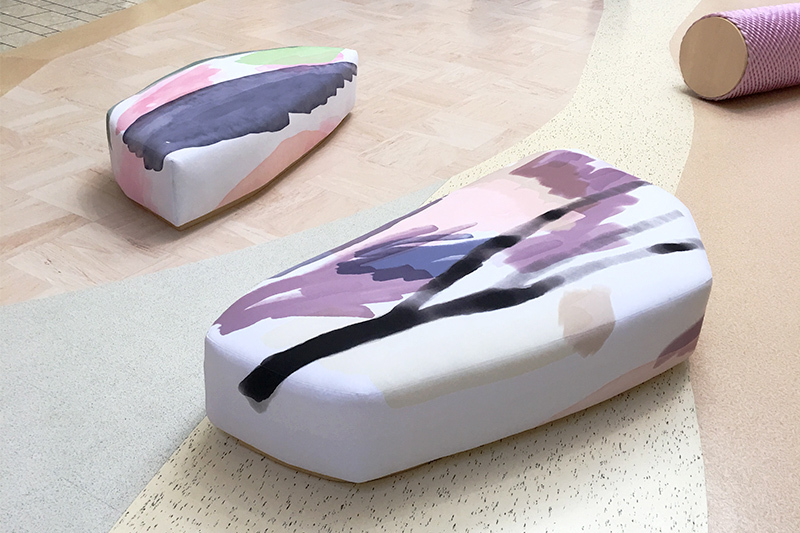 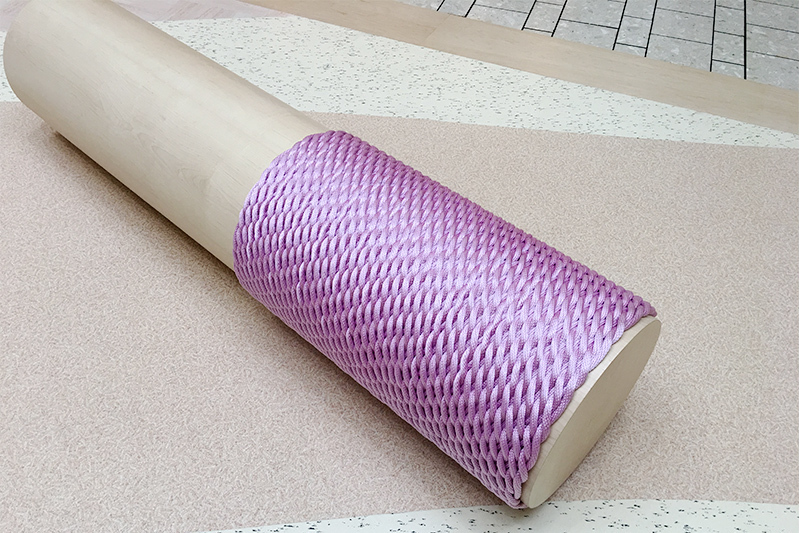 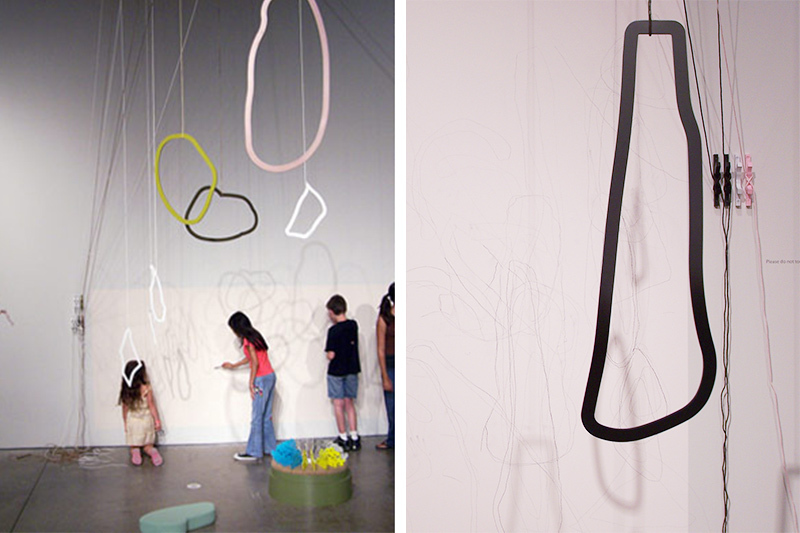 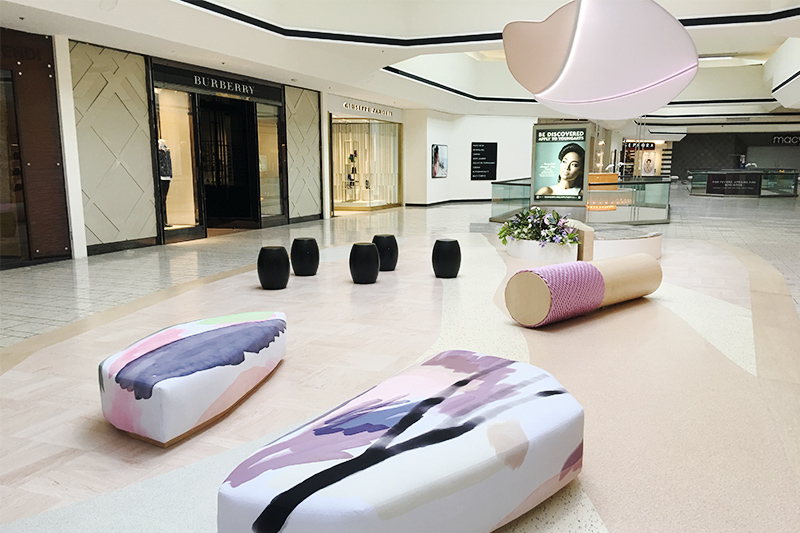 'Stay' is a seating installation commissioned by The Beverly Center. 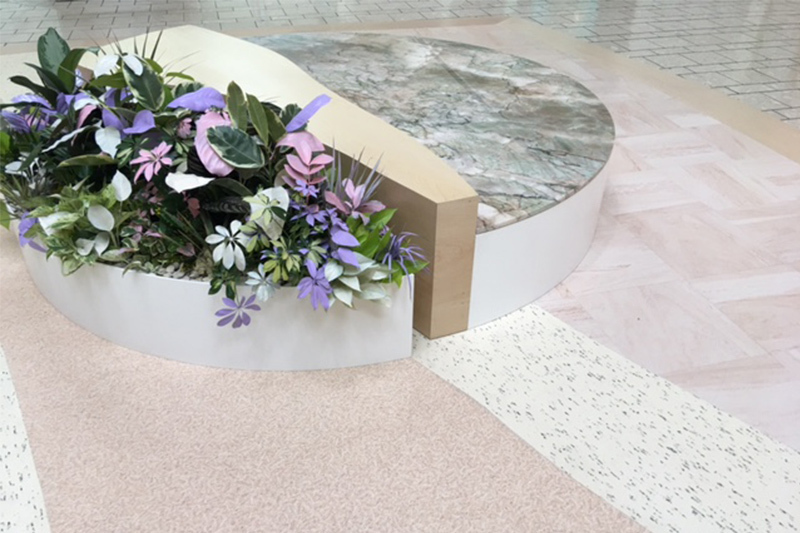 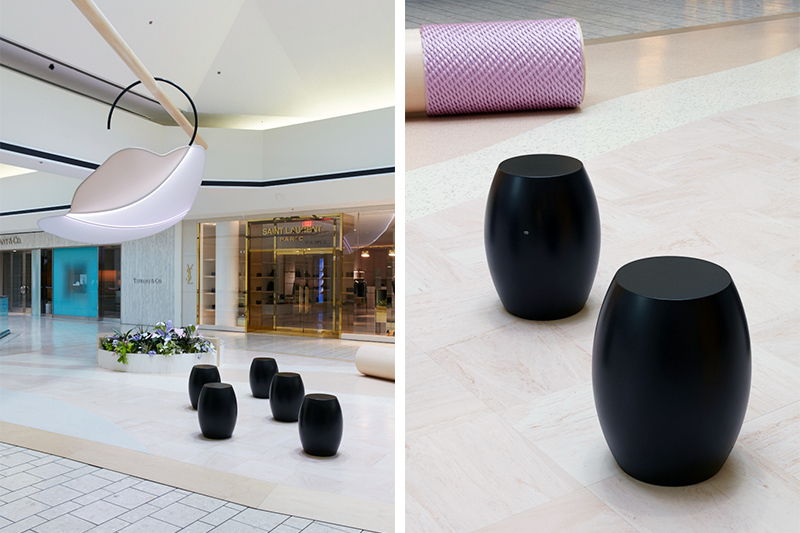 Using a sculptural vocabulary influenced by natural forms such as plants and rocks as well as simple playground structures, Kimmel reimagined the expected—shopping center seating—to create an unexpected new social space. 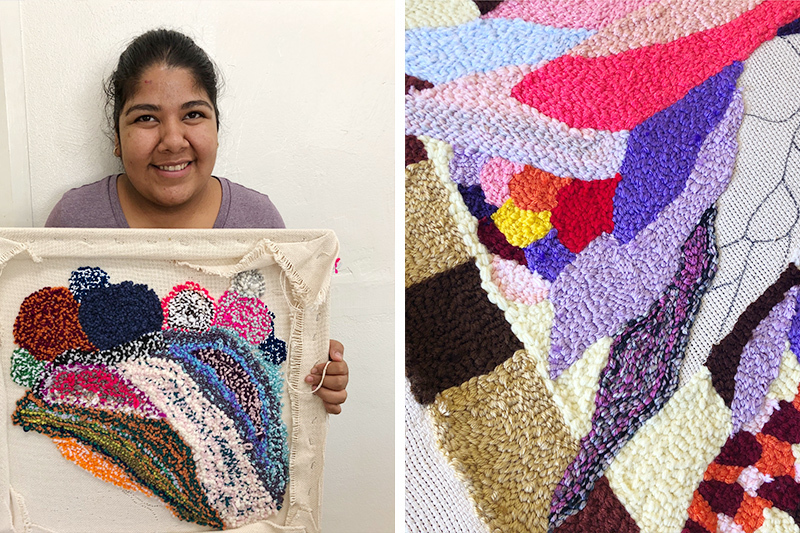 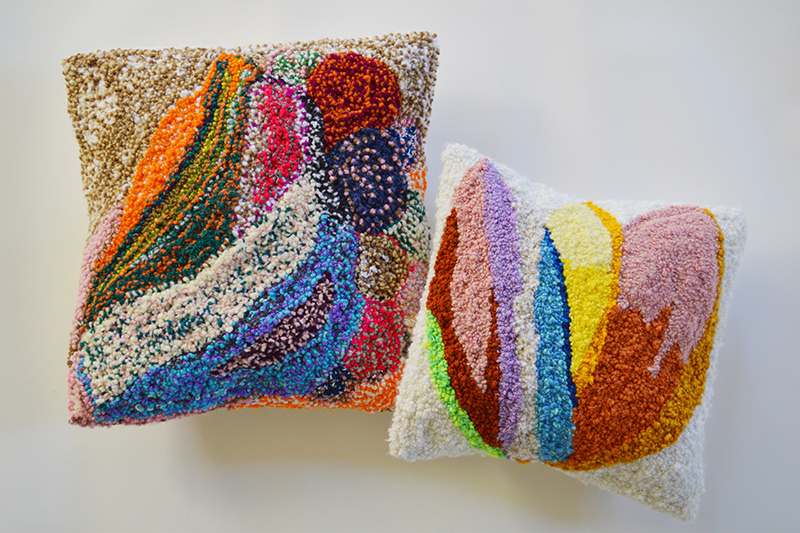 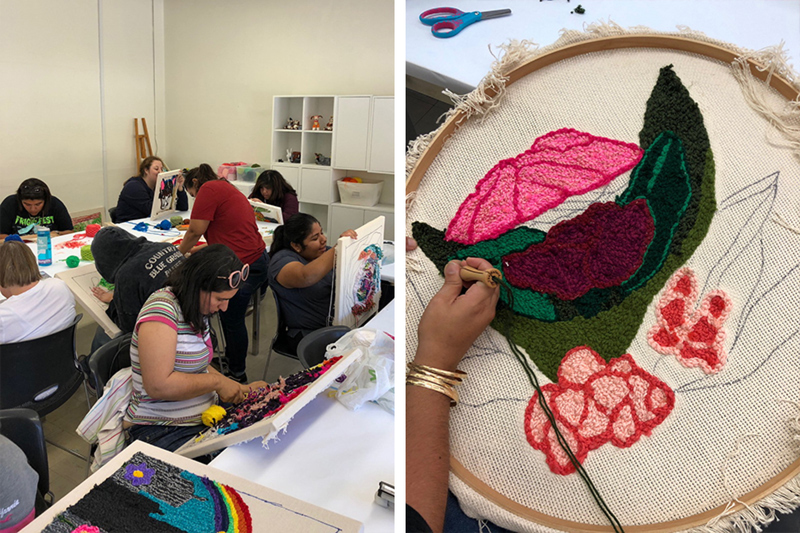 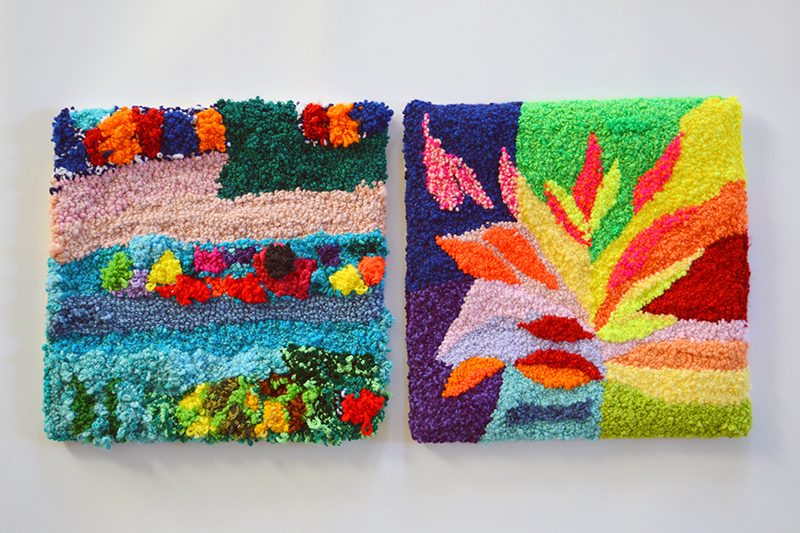 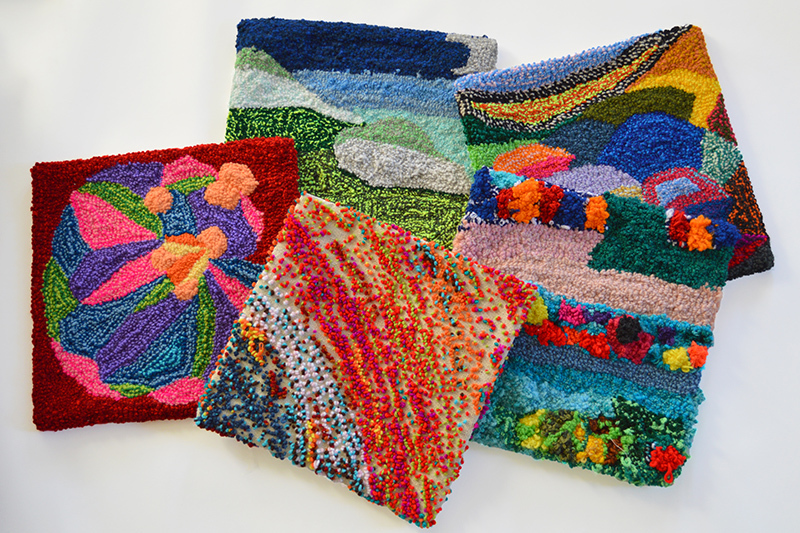 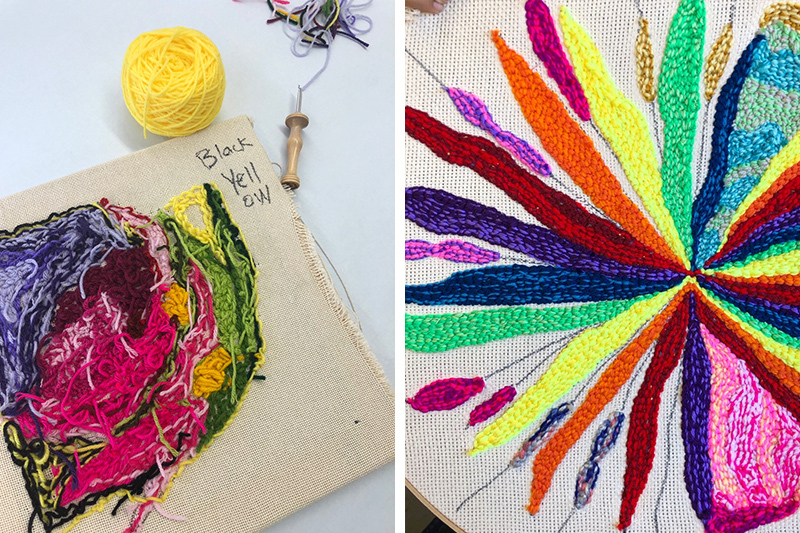 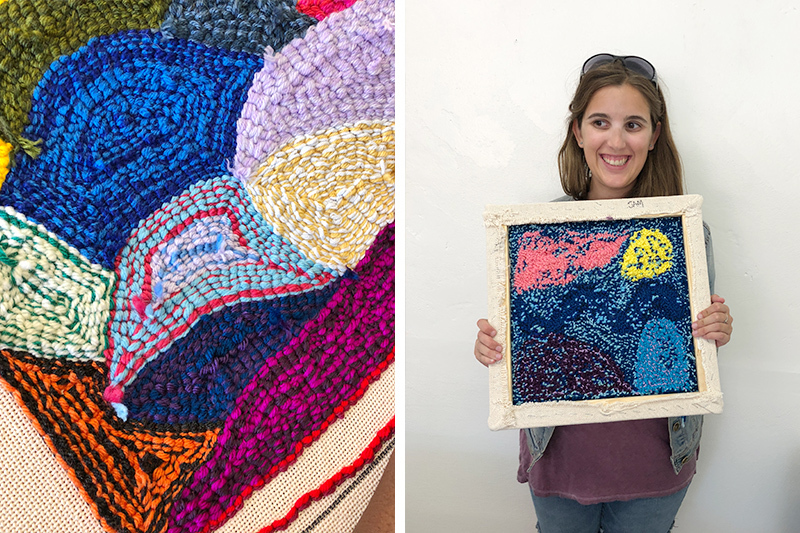 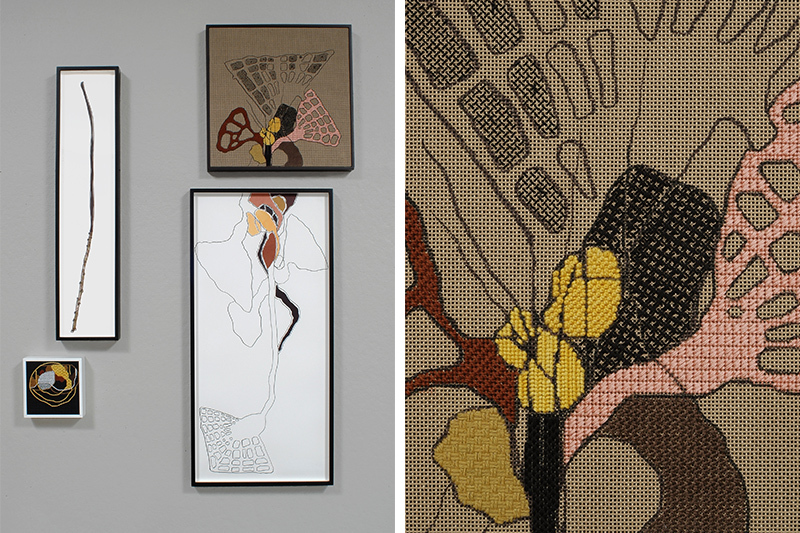 In 2018, Karen Kimmel piloted a paid internship program for the artists of the Tierra del Sol Foundation, to learn the craft of punch hooking, resulting in a collaborative collection of textiles. 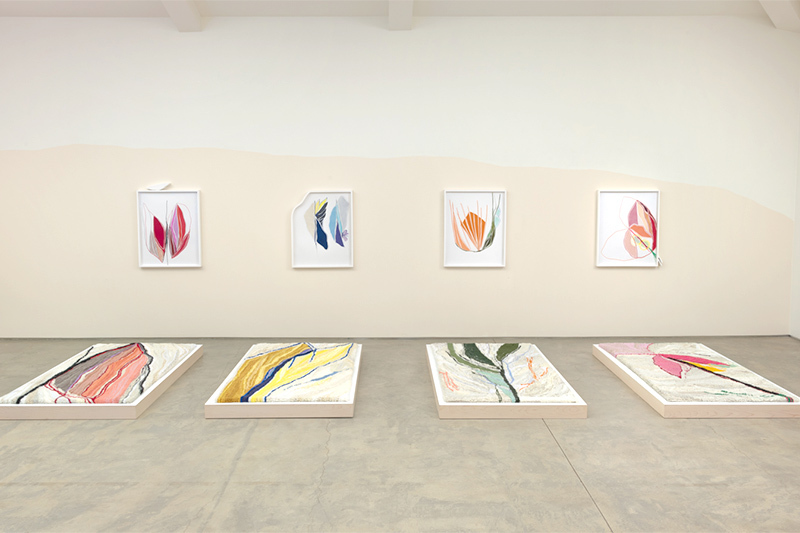 Reluctant Bloom is an installation created for 'Beyond the Bouquet,' a group show at the Stuart Haaga Gallery at Descanso Gardens. 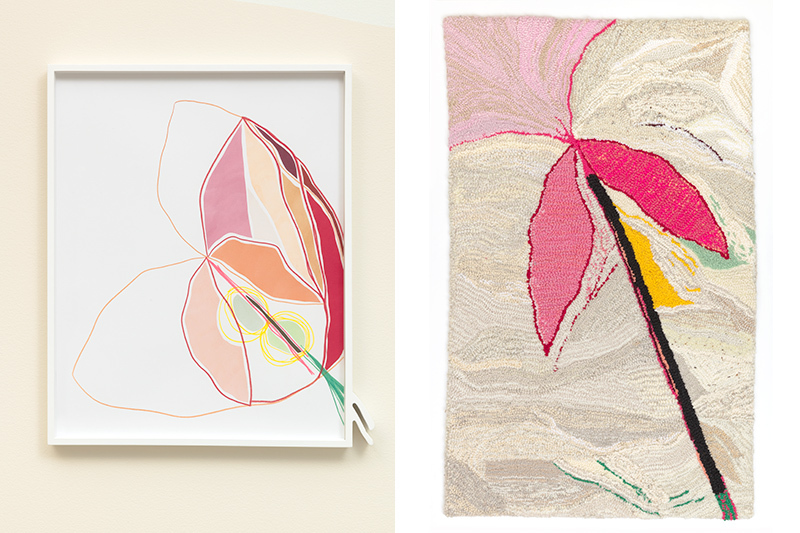 It consists of four drawings paired with four meditation rugs, created with the intention to hold a space for personal reflection. 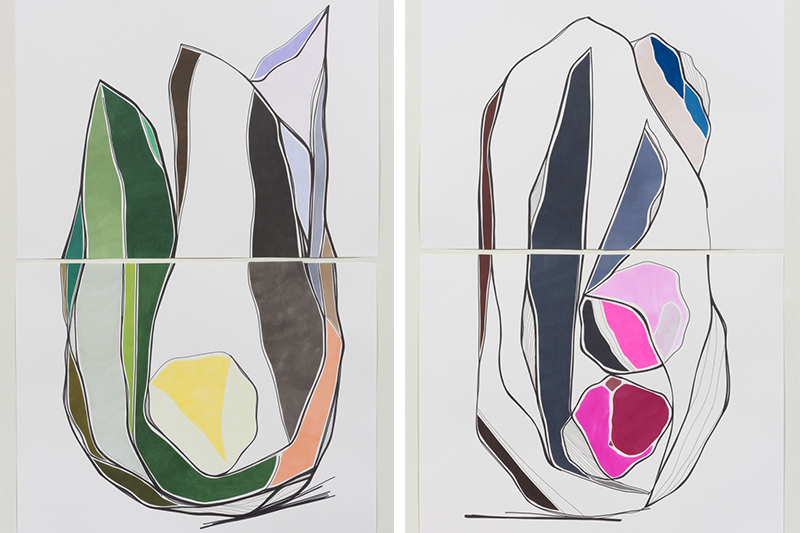 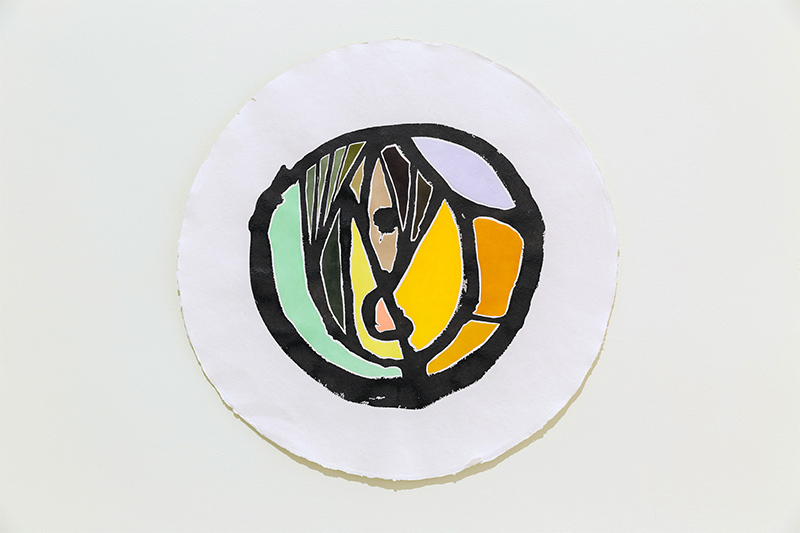 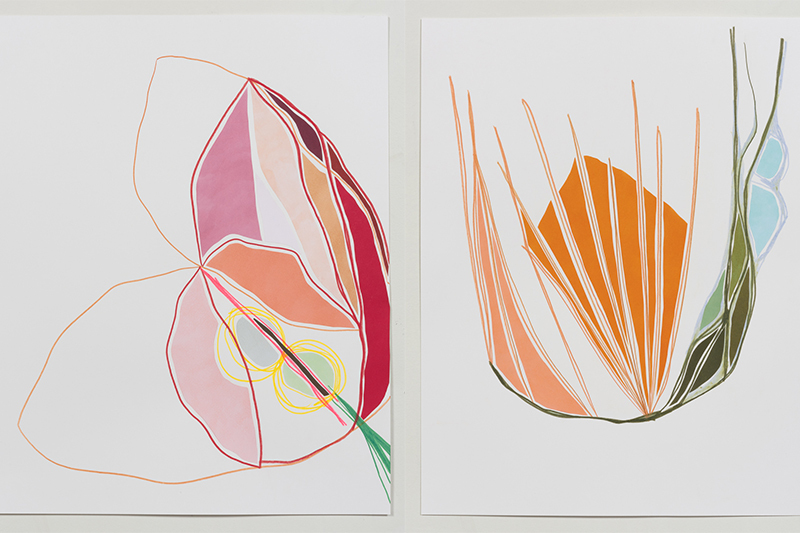 The drawings utilize colors, lines, and forms borrowed from the natural world, and were generated during the artist’s daily drawing ritual, where she drew inspiration from meditations on the lessons of the Tao Te Ching. 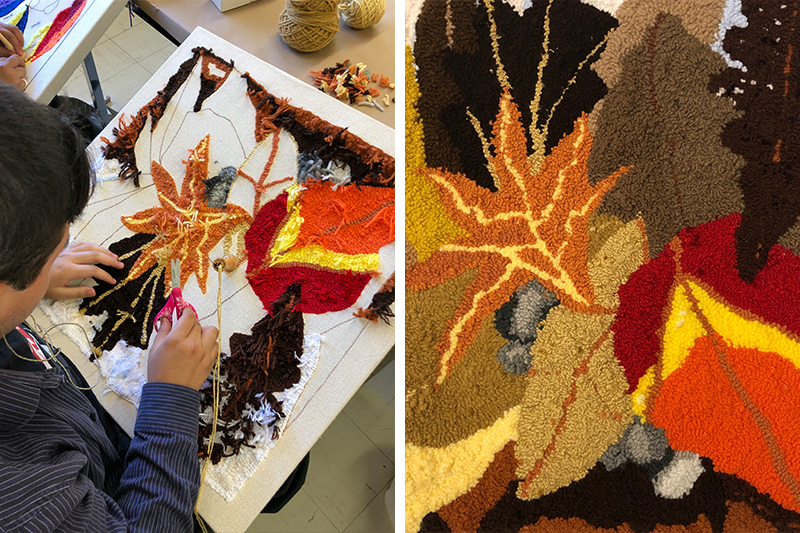 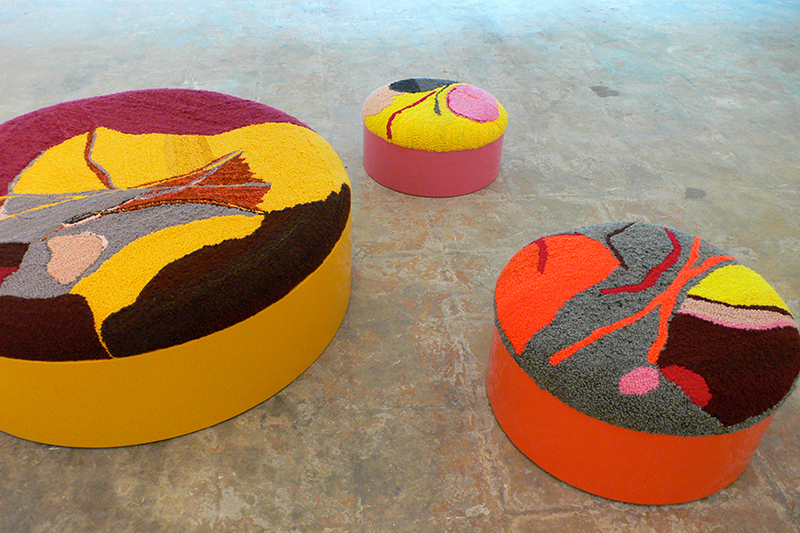 The rug designs were generated by extracting details from the accompanying drawings, and were slowly constructed through the meditative, repetitive action of latch-hooking. 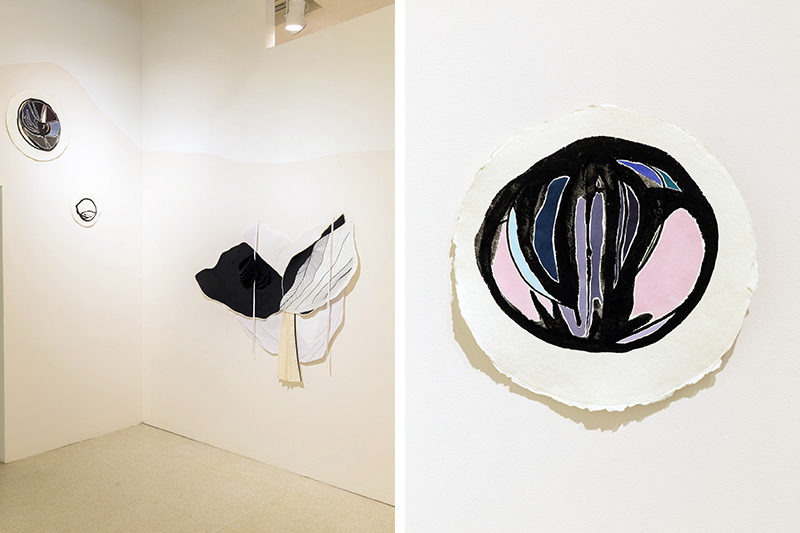 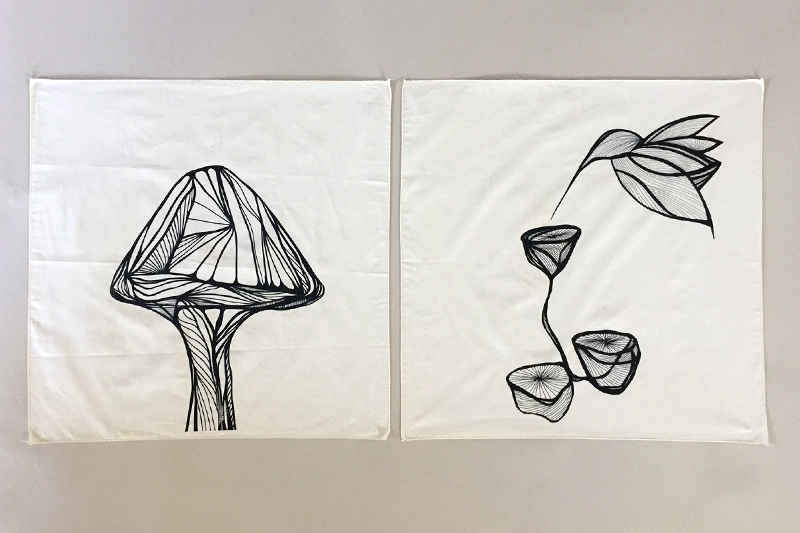 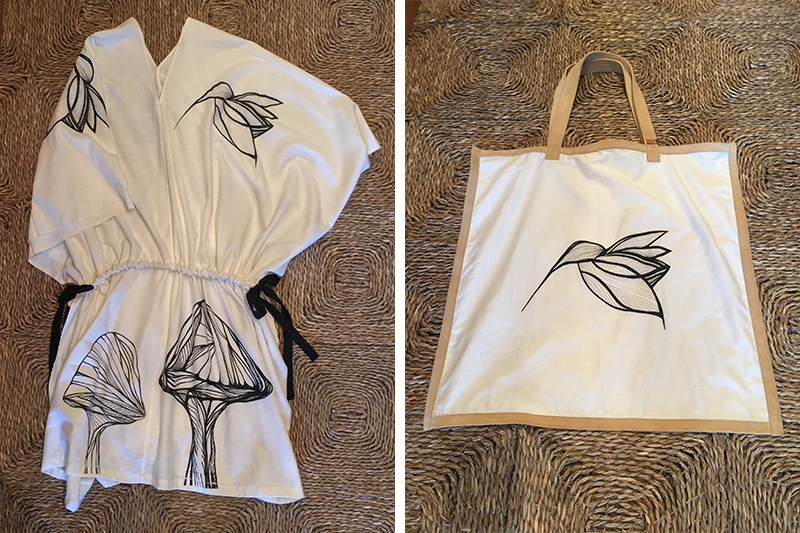 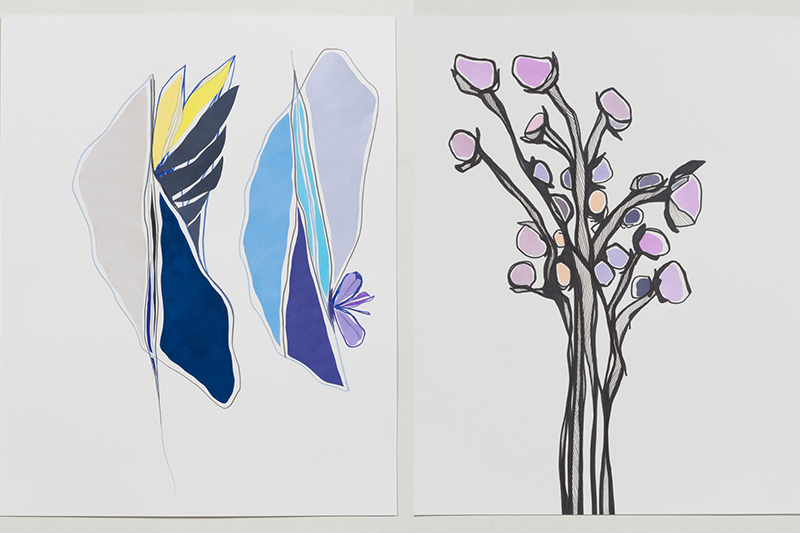 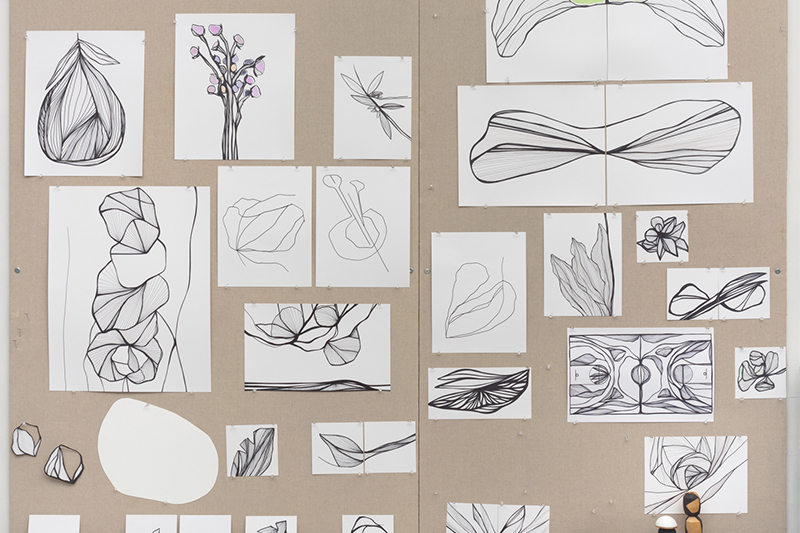 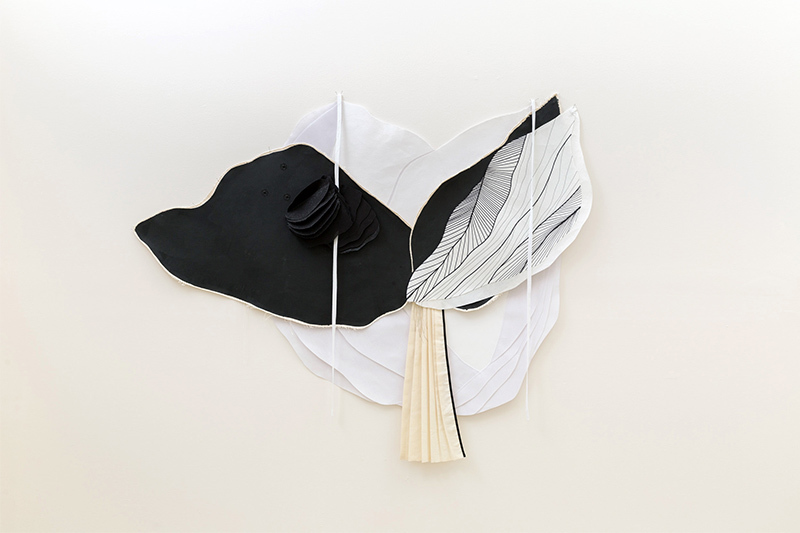 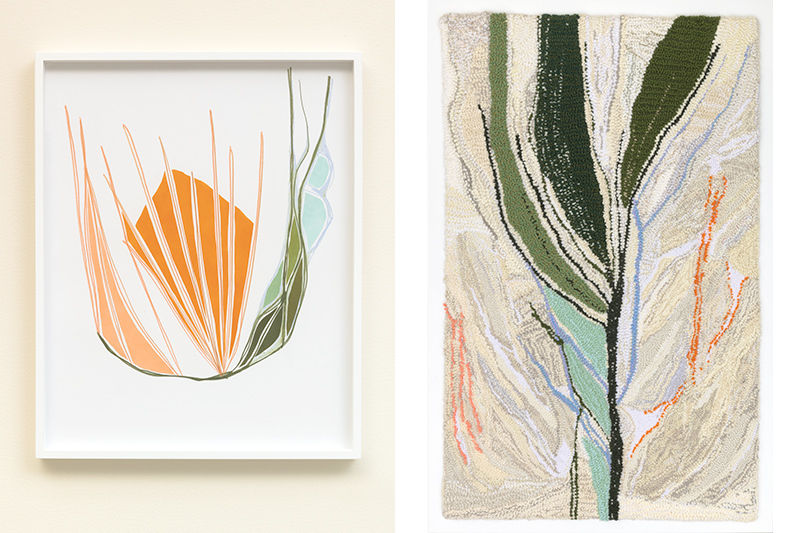 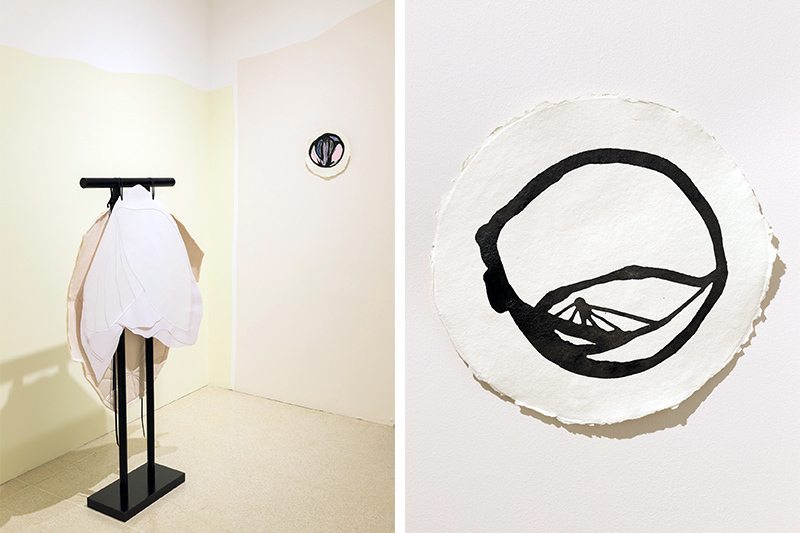 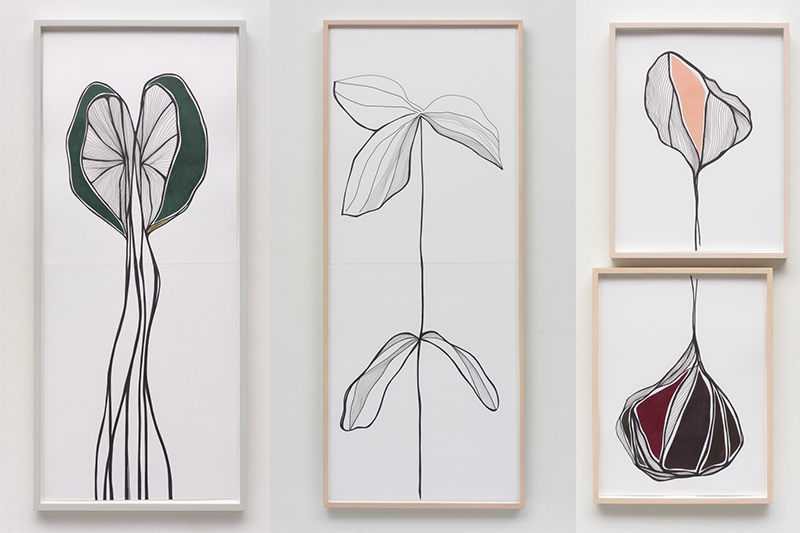 For 'Garden Variety,' a group show at the historic Brand Library examining the processes of time-keeping, Karen Kimmel created a pair of botanically-inspired capes, coupled with a series of 'portal' drawings. 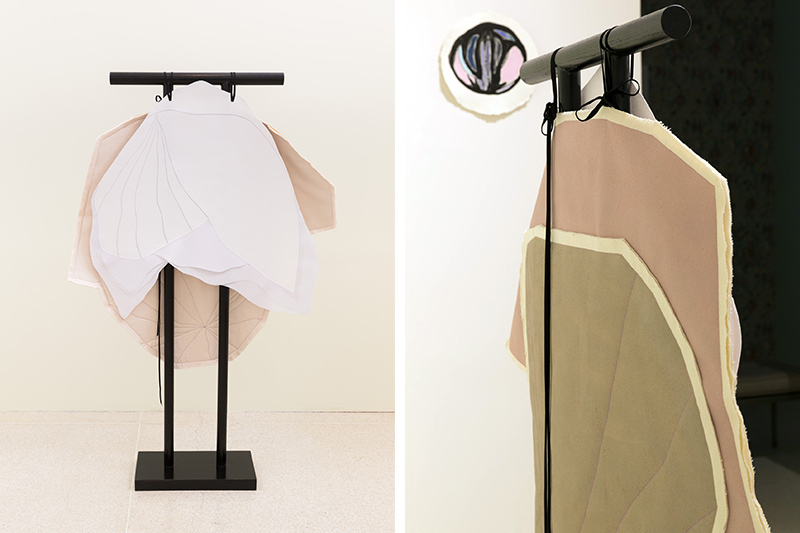 The capes function as wall works, with the potential to create contained intimate space with the self for inner reflection when worn. 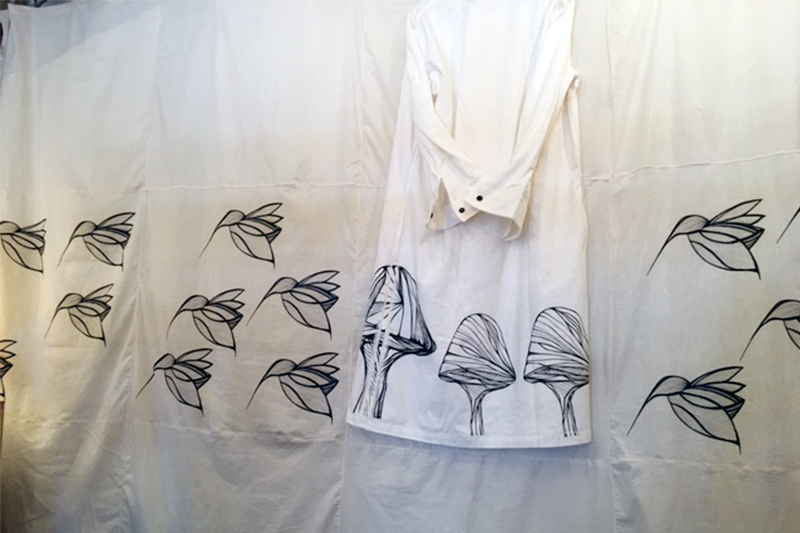 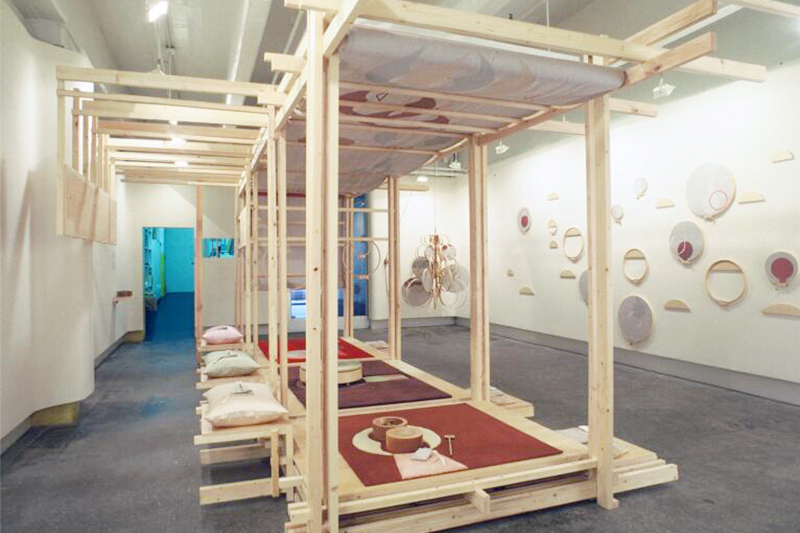 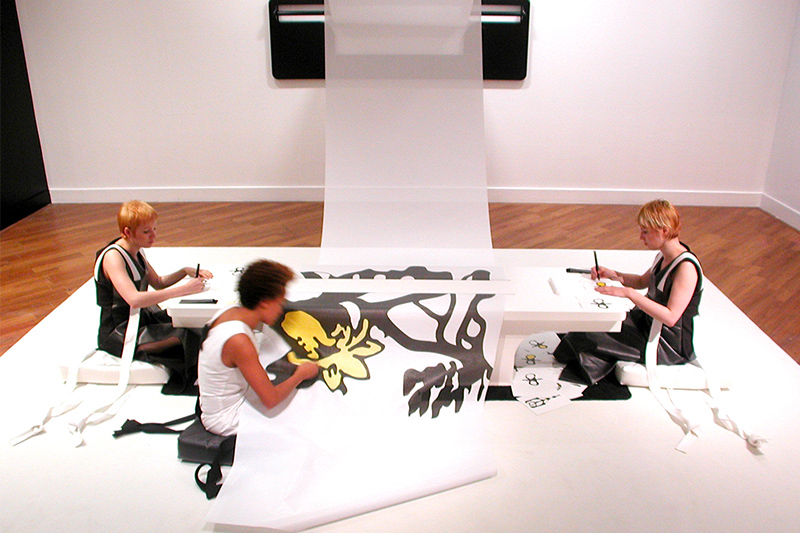 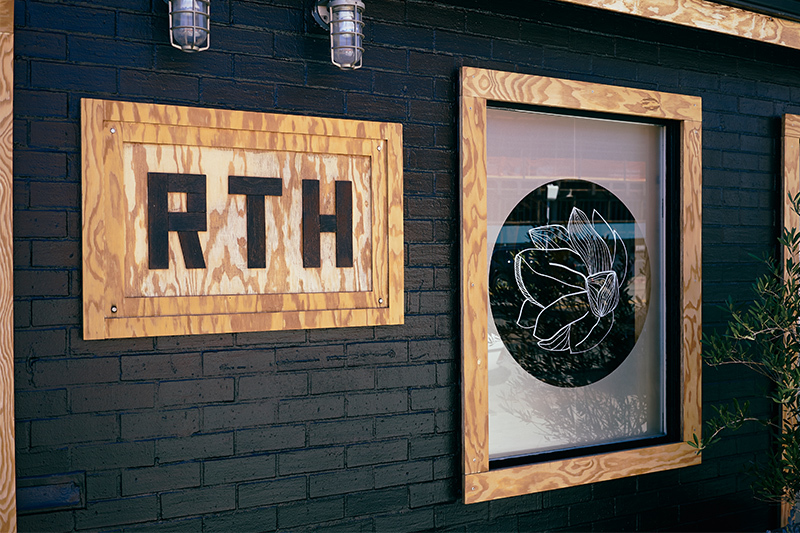 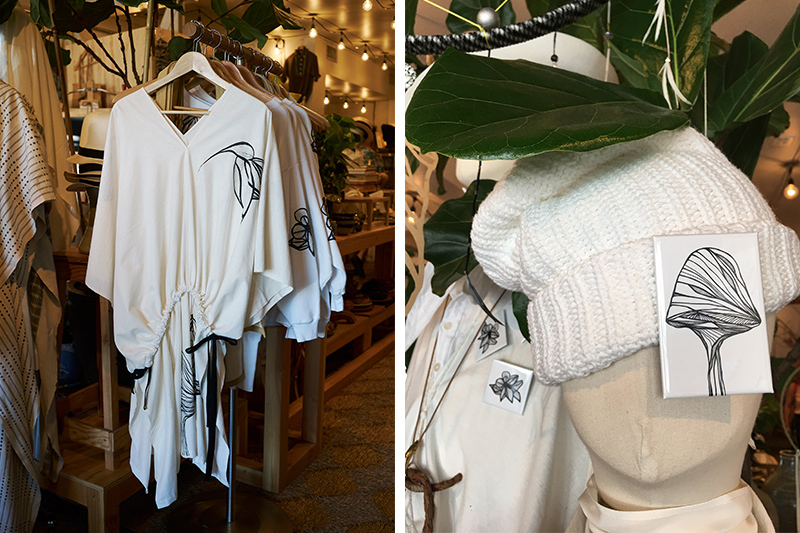 Garden State was a print installation and collaborative capsule collection between Karen Kimmel and RTH, with proceeds benefitting Alma Community Outreach. 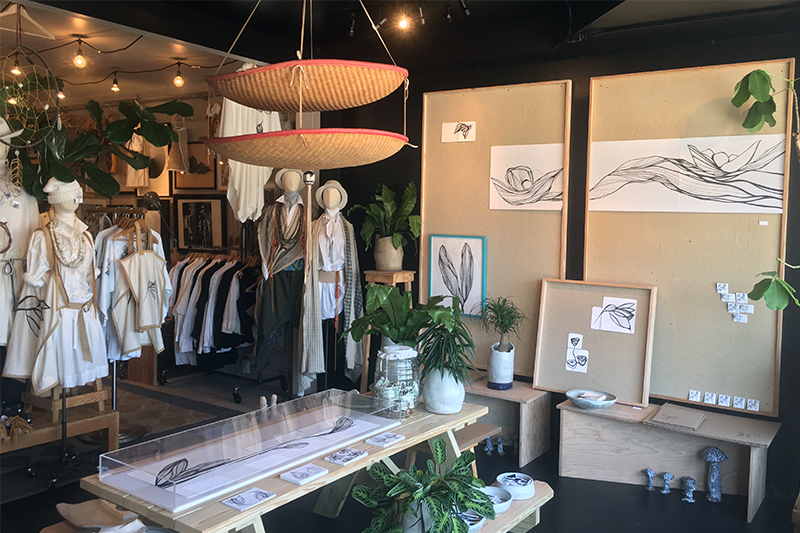 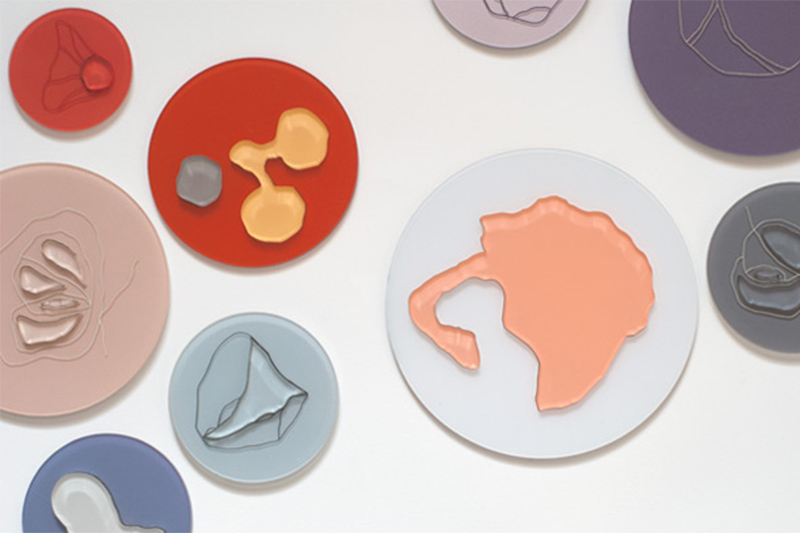 New California Craft was an exhibition at the 2017 LA Design Festival curated by Jonathan Lo, that showcased works from 10 Los Angeles artists. 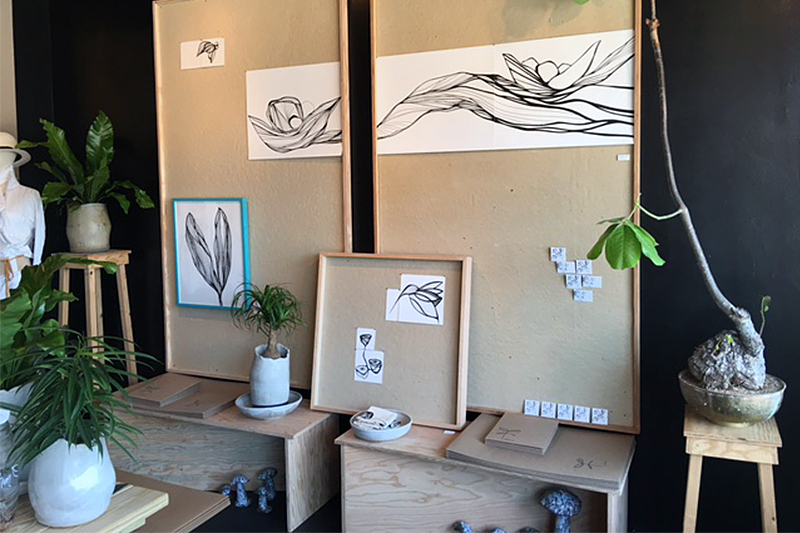 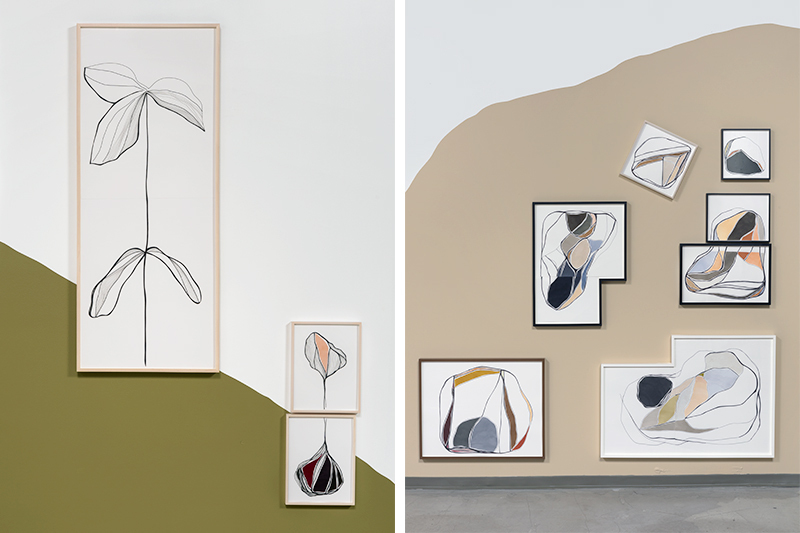 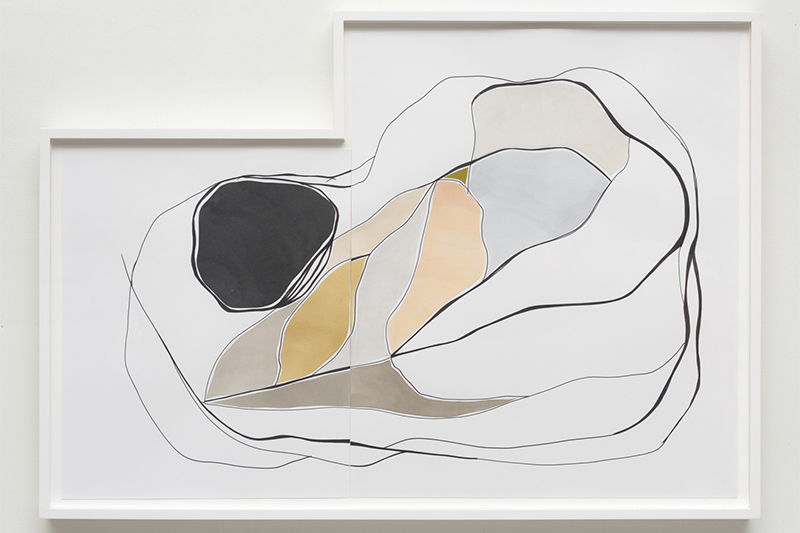 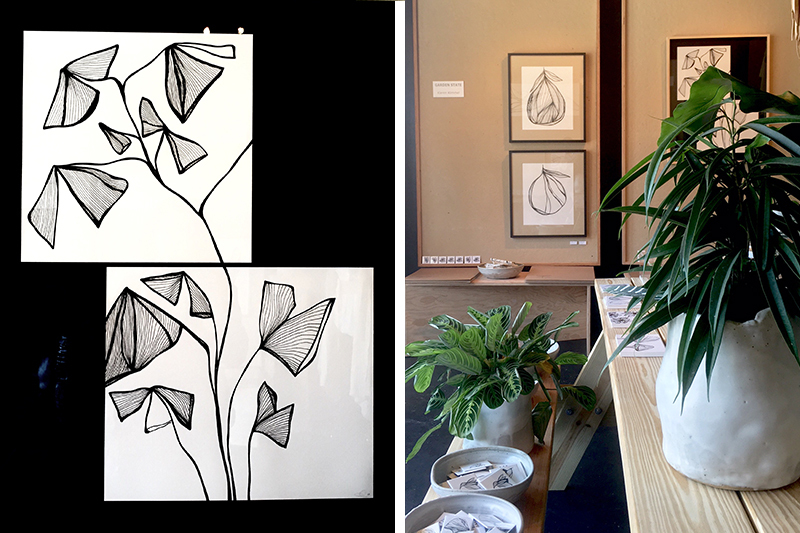 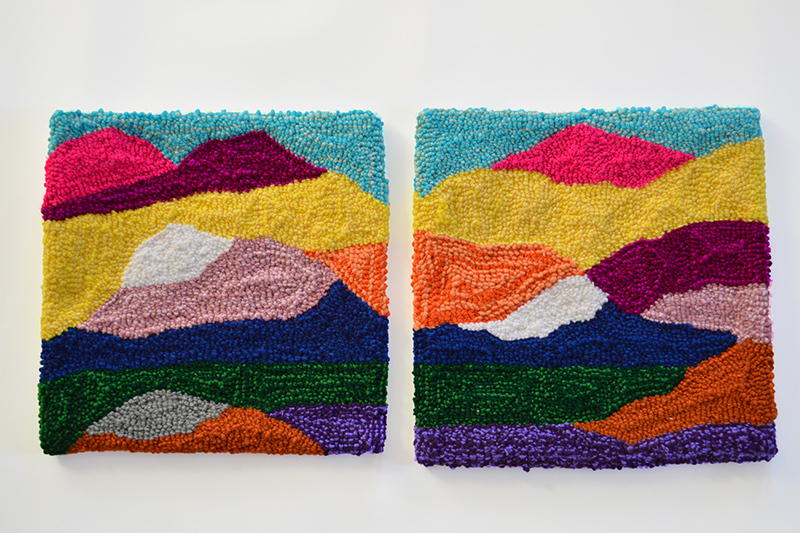 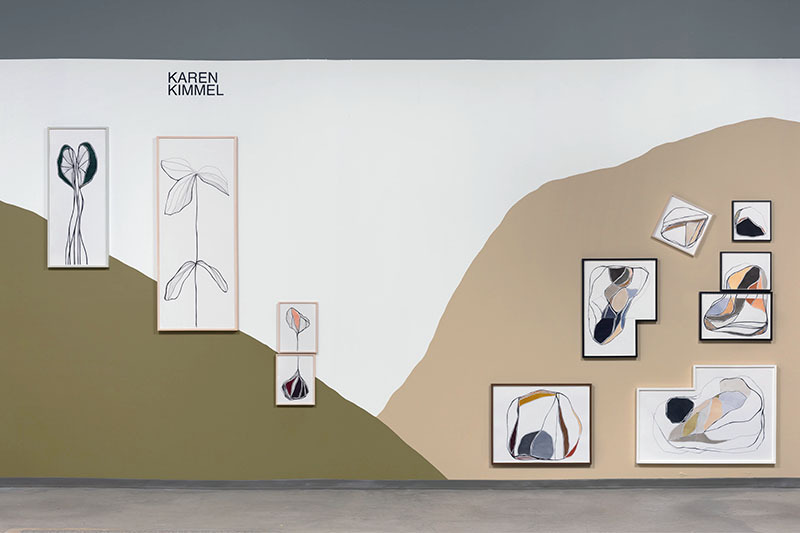 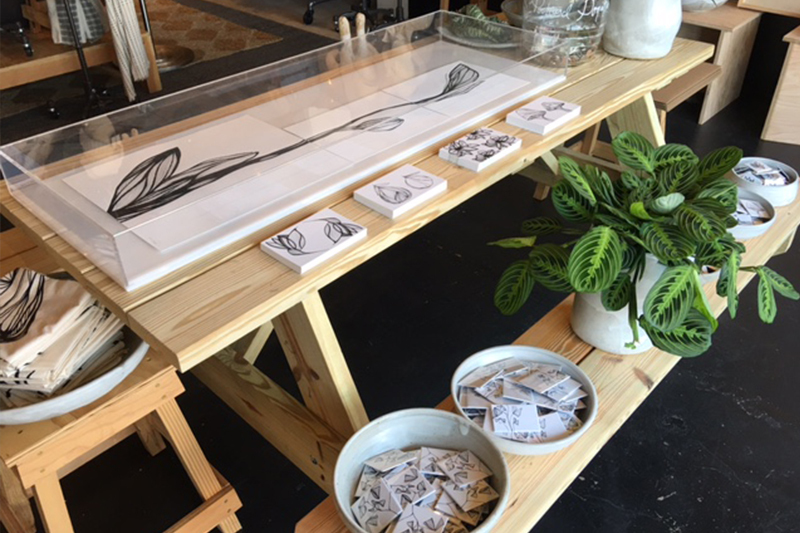 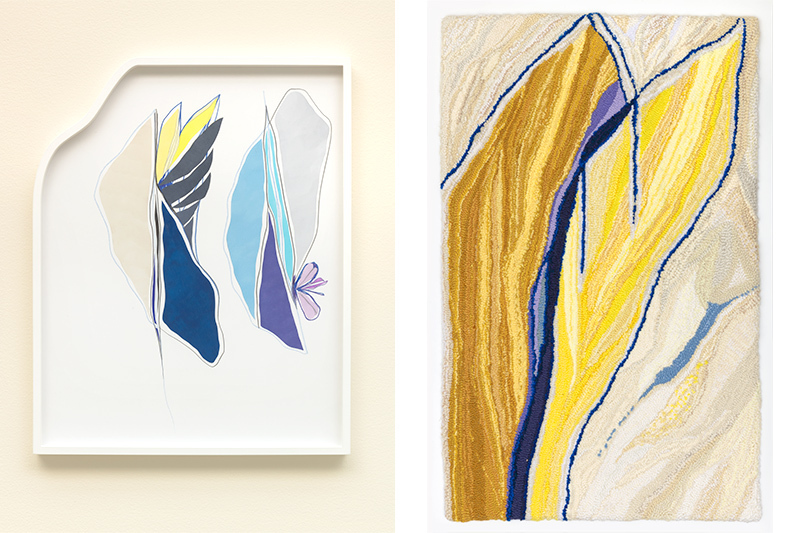 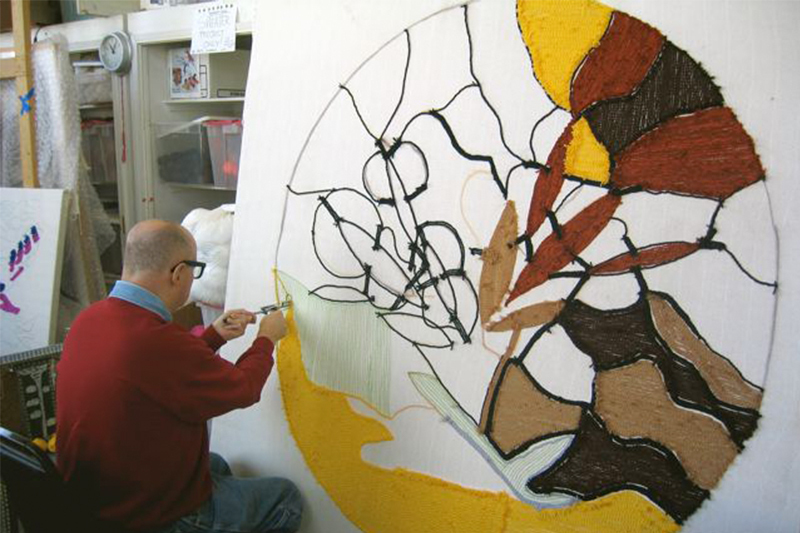 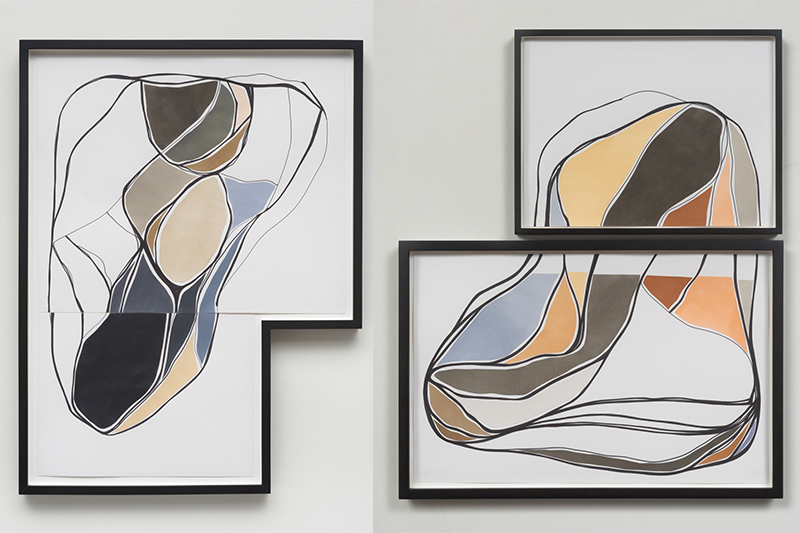 For the show, Karen created a work called 'The Valley,' consisting of a series of organic, collaged line drawings inspired by her lifelong study of nature. 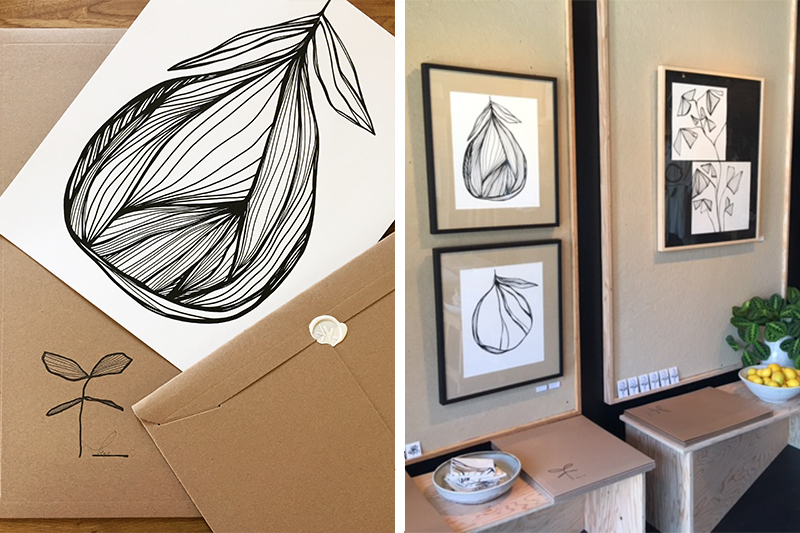 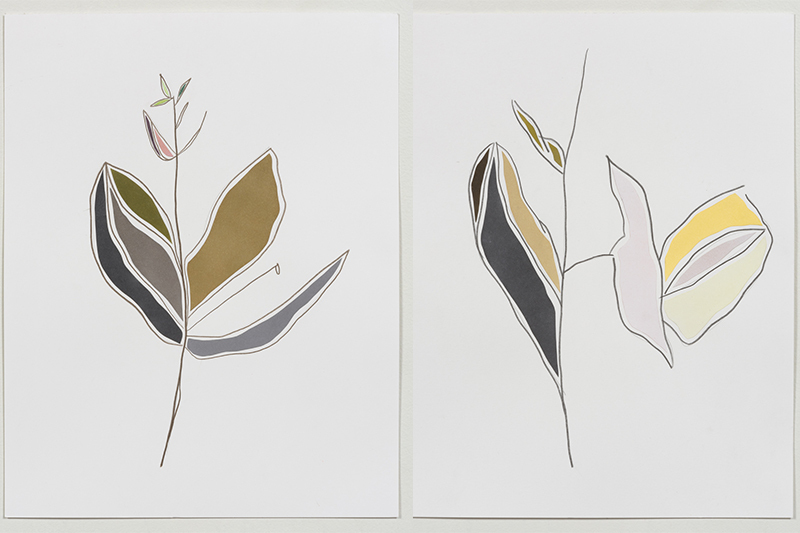 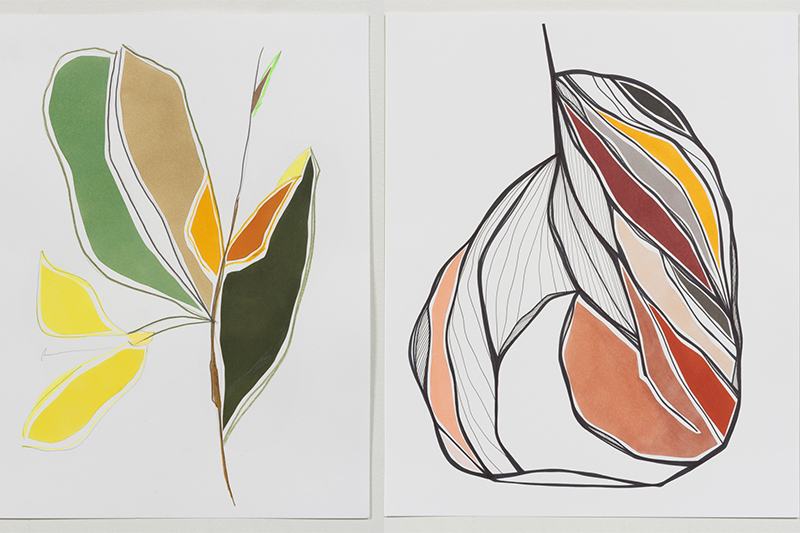 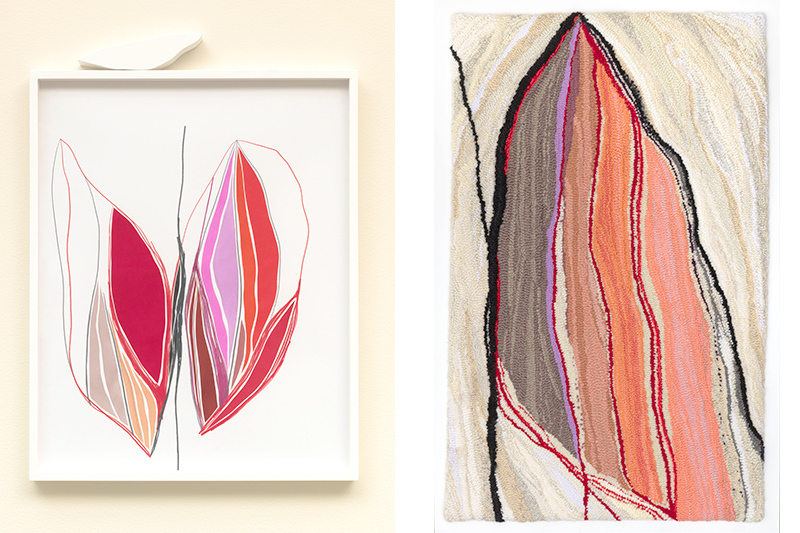 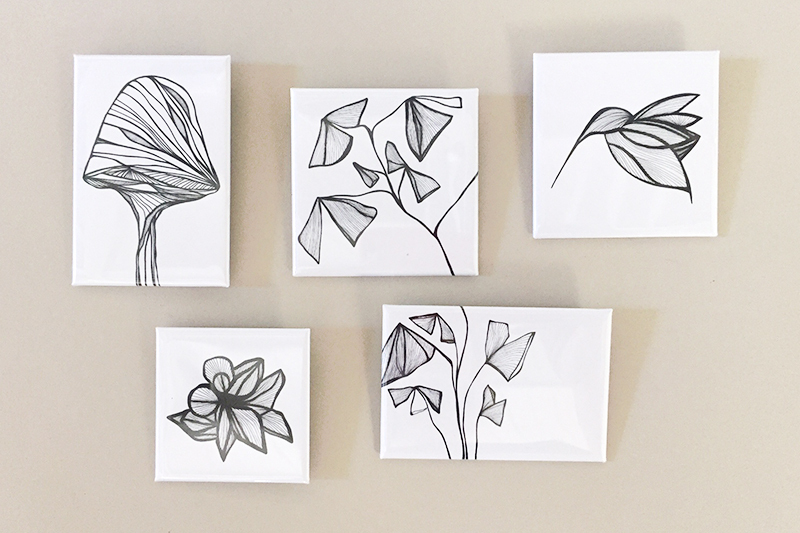 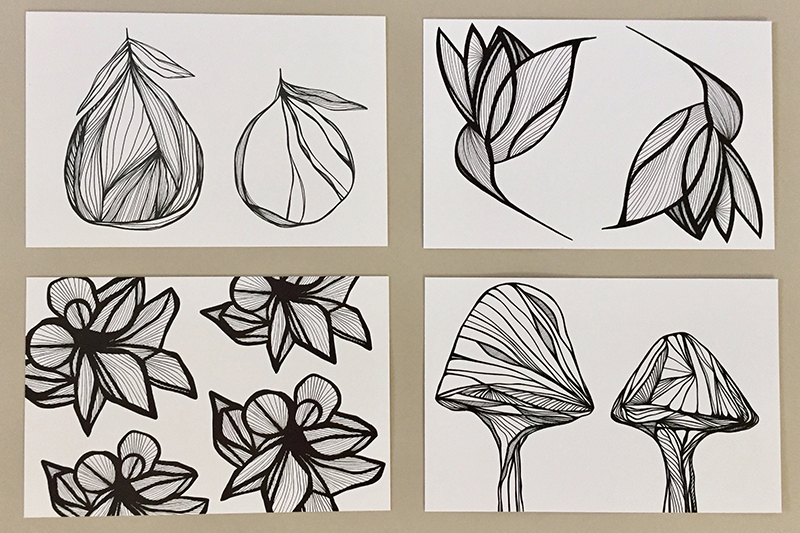 A new series of drawings, inspired by botanical forms. 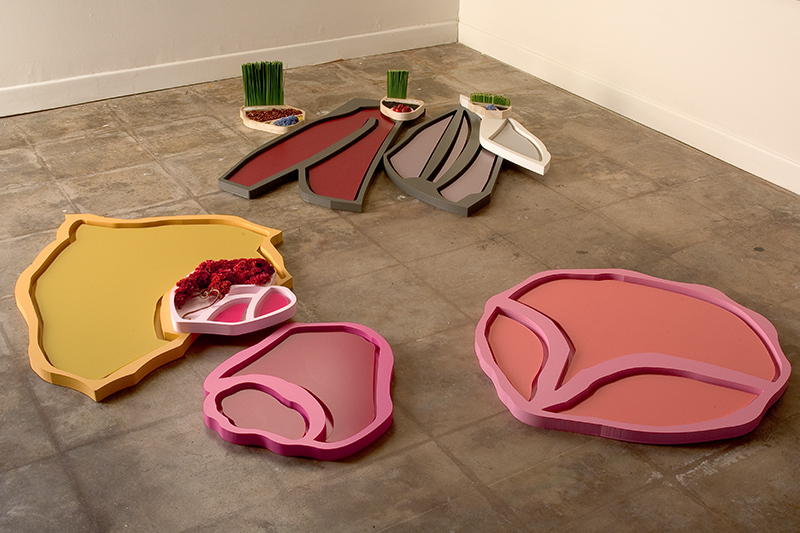 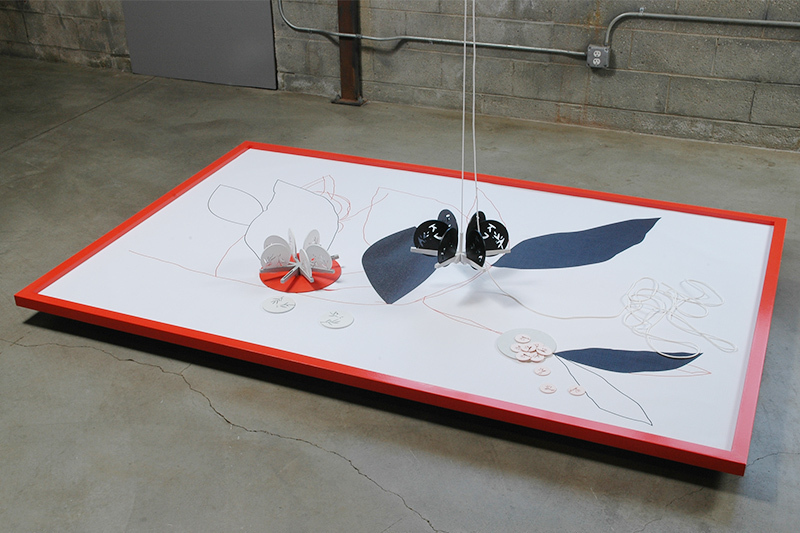 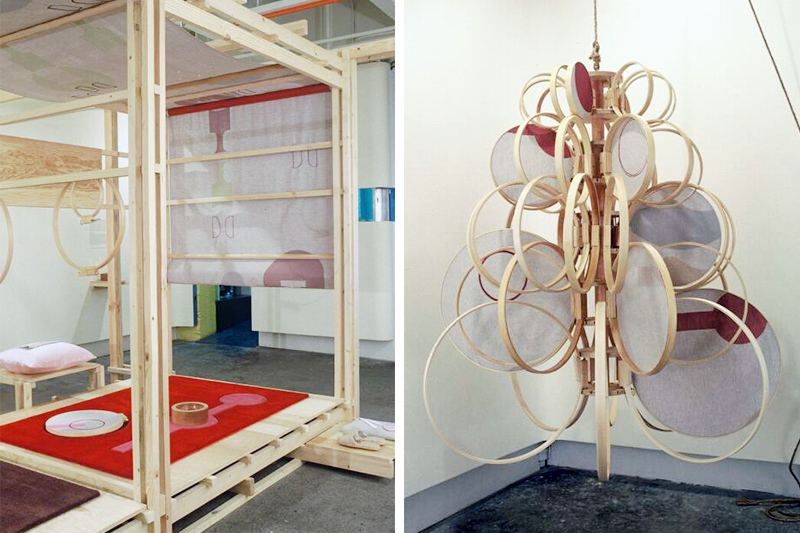 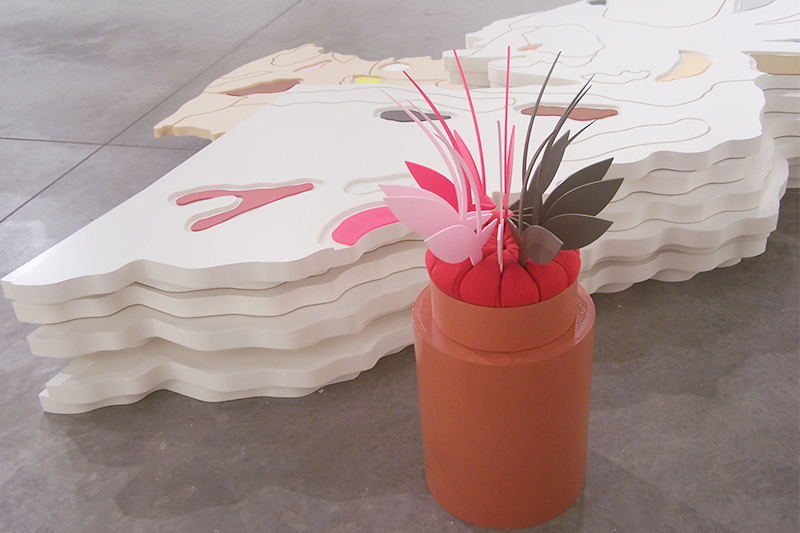 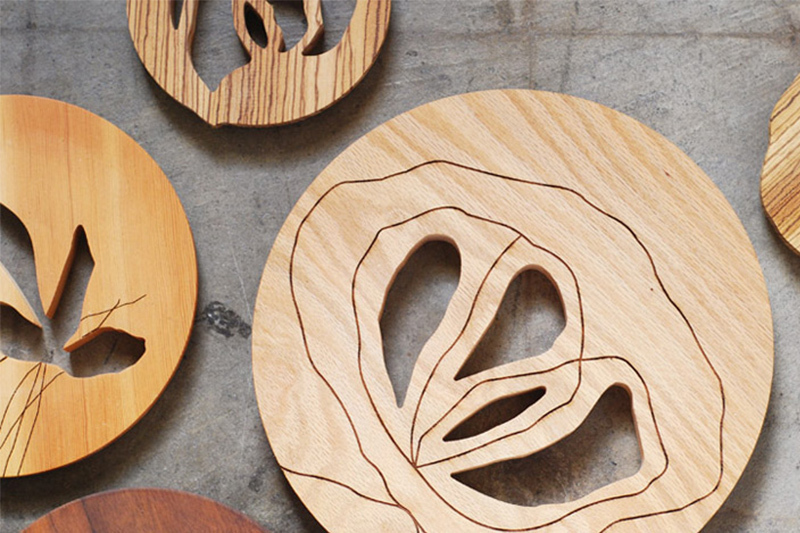 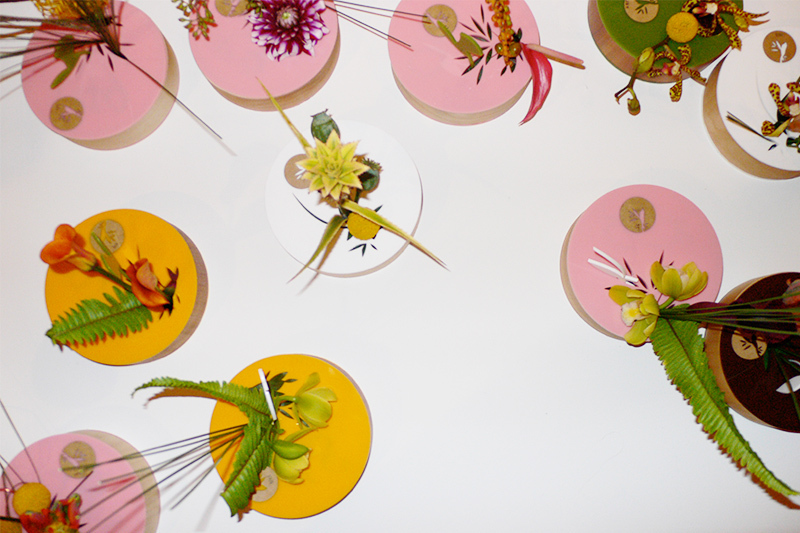 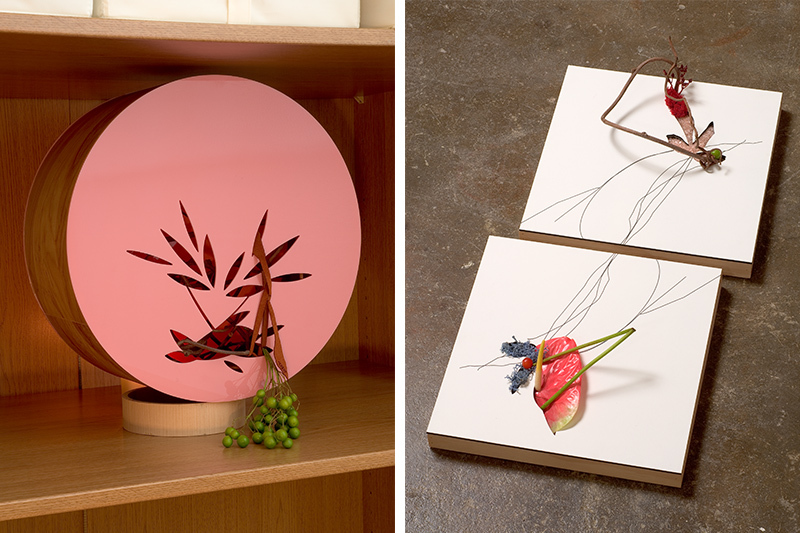 Sculptural bidding paddles transformed into floral arrangements, for 'Flourish' at LACE.